Mojahed Akil meets with a Turkish friend at a café in Gaziantep’s Old City. Both are software developers, and this café is one of Akil's favored after-work spots. 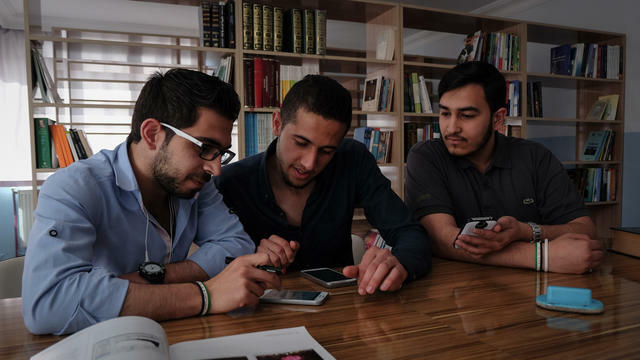 While working for a Turkish tech firm, Akil learned how to program for mobile phones, and decided to make a smartphone app to help Syrians get all the information they need to build new lives in Turkey. In early 2014, he and a friend launched Gherbtna, named for an Arabic word referring to the loneliness of foreign exile. As part of its recently finalized deal with the European Union (EU), Turkey has begun to stanch the flow of migrants across the Aegean Sea. But the reason so many of the more than three million Syrians, Iraqis, Afghans, and other refugees in Turkey had seen fit to crowd onto those dangerous rubber boats to cross into Europe is that, for the majority, their lives in Turkey had been rather desperate: hard, infrequent, and low-paid work; limited access to education; crowded housing; a language divide; and uncertain legal status. Akil opens up the Gherbtna application on his mobile phone. Humanity is currently facing its greatest refugee crisis since World War II, with more than 60 million people forced from their homes. Much has been written about their use of technology — how Google Maps, WhatsApp, Facebook, and other tools have proven invaluable to the displaced and desperate. But helping refugees find their way, connect with family, or read the latest updates about route closings is one thing. Enabling them to grasp minute legal details, find worthwhile jobs and housing, enroll their children in school, and register for visas and benefits when they don’t understand the local tongue is another. Due to its interpretation of the 1951 Geneva Convention on refugees, Ankara does not categorize Syrians in Turkey as refugees, nor does it accord them the pursuant rights and advantages. Instead, it has given them the unusual legal status of temporary guests, which means that they cannot apply for asylum and that Turkey can send them back to their countries of origin whenever it likes. What’s more, the laws and processes that apply to Syrians have been less than transparent and have changed several times. Despite all this — or perhaps because of it — government outreach has been minimal. Turkey has spent some $10 billion on refugees, and it distributes Arabic-language brochures at refugee camps and in areas with many Syrian residents. Yet it has created no Arabic-language website, app, or other online tool to communicate the relevant laws, permits, and legal changes to Syrians and other refugees. Turkey has spent some $10 billion on refugees, and it distributes Arabic-language brochures at refugee camps and in areas with many Syrian residents. Yet it has created no Arabic-language website, app, or other online tool to communicate the relevant laws, permits, and legal changes to Syrians and other refugees. Independent apps targeting these hurdles have begun to proliferate. Gherbtna’s main competitor in Turkey is the recently launched Alfanus (“Lantern” in Arabic), which its Syrian creators call an “Arab’s Guide to Turkey.” Last year, Souktel, a Palestinian mobile solutions firm, partnered with the international arm of the American Bar Association to launch a text-message service that provides legal information to Arabic speakers in Turkey. Norway is running a competition to develop a game-based learning app to educate Syrian refugee children. German programmers created Germany Says Welcome and the similar Welcome App Dresden. And Akil’s tech firm, Namaa Solutions, recently launched Tarjemly Live, a live translation app for English, Arabic, and Turkish. Akil, the founder of the Gherbtna and Tarjemly apps, works at his desk in the Namaa Solutions office in central Gaziantep. 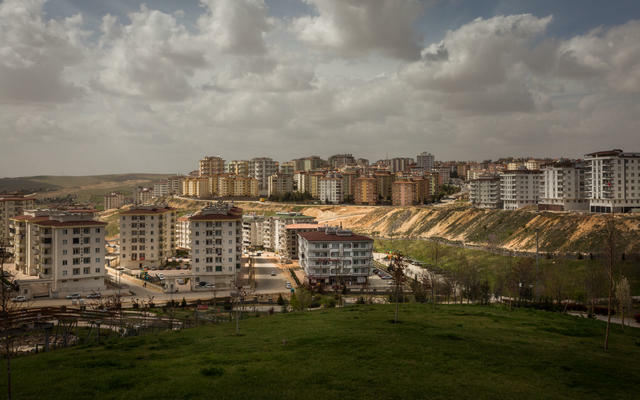 A view over an ever-expanding Syrian-inhabited suburb of Gaziantep. 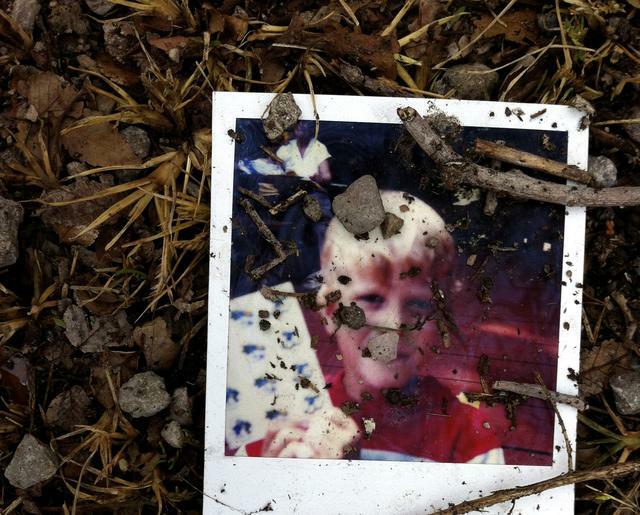 The influx of Syrians to the city has rapidly developed the city and triggered a housing boom. Mohamed Kayali, a 33-year-old web developer from Damascus now living in Istanbul, uses all variety of technology. He found his apartment via the Turkish site sahibinden.com and has found freelance work online. He says that Gherbtna has few exclusive features — much of its content can be found elsewhere. One might say the same about TurkiyeAlyoum, a Syrian-run website that offers daily news as well as regularly updated legal info. Or Alfanus, Gherbtna’s direct competitor, which launched in March. Its Index section is a sort of smartphone yellow pages, with color photos of barbers and beauty shops, Turkish-language schools, Syrian restaurants, and more. It also features a Marketplace, where one can buy furniture, laptops, cars, and iPhones, and a property section, where in March a four-bedroom house with a pool in the Istanbul suburb of Büyükçekmece was going for $450,000. Farouk, the data manager for Gherbtna, and Hazem, the administrative manager for the Tarjemly app, work together in the Namaa Solutions office. One tool has had time to mature. 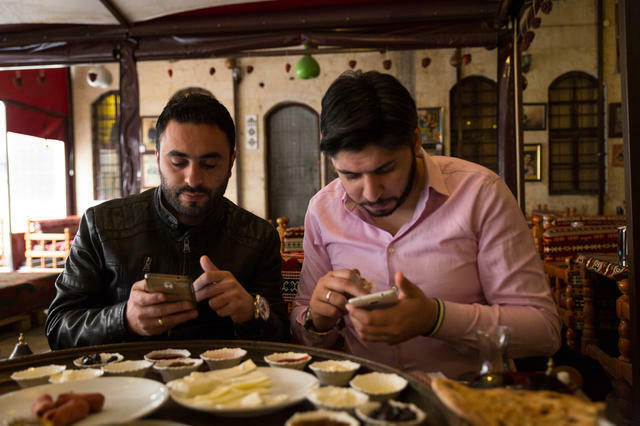 Syrians in Turkey use Facebook to find jobs, housing, friends, restaurants, and interesting events. They use it to read the latest news; learn local laws; find a smuggler; or obtain an ID, a residence visa, or a work permit. Syrians have formed Facebook groups for jobs, for housing, for people from Aleppo or Homs — in each major Turkish city. Iyad Nahaz, a 27-year-old techie from Damascus, moved to Gaziantep early this year and found his apartment and his job as a program development officer for the nonprofit Syrian Forum through Facebook. 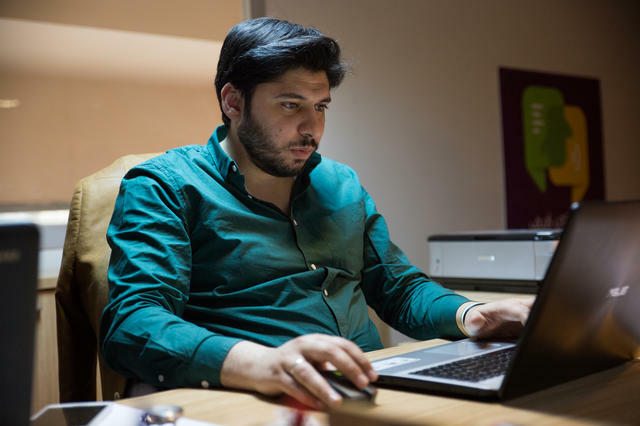 In March, Ghise Mozaik, a 29-year-old entrepreneur from Aleppo, posted a job ad on Facebook, looking to hire a Syrian programmer for his Gaziantep IT firm. “We got all these resumes in one day,” he said during an interview in his office, picking up an inch-thick manila folder. It says a lot that Gherbtna has more followers on its Facebook page (88,000 as of late April) than app downloads. A Syrian user of Tarjemly, from Aleppo and now living in Gaziantep, describes how she uses the application. Google recently invited Akil to attend its prestigious annual developers' conference, in Mountain View, California. But Turkey rejected his visa application. According to a recent report in Spiegel, in recent months Turkey has refused travel visas and withdrawn permits for many highly skilled Syrians. The government is doing its part to help Syrians integrate. Recent reports that Turkey has deported thousands of Syrians, and even shot some who were attempting to cross the border, are troubling. But Ankara has issued about 7,500 work permits to Syrians, and in January it passed a law that is expected to make it easier for Syrians to get these permits. It hopes to have 460,000 Syrian children in school by the end of this year, and recently partnered with Istanbul’s Bahçeşehir University to launch a program to teach Turkish to some 300,000 Syrian youth. A senior Turkish government official says that the government is working to put Arabic-language resources online. 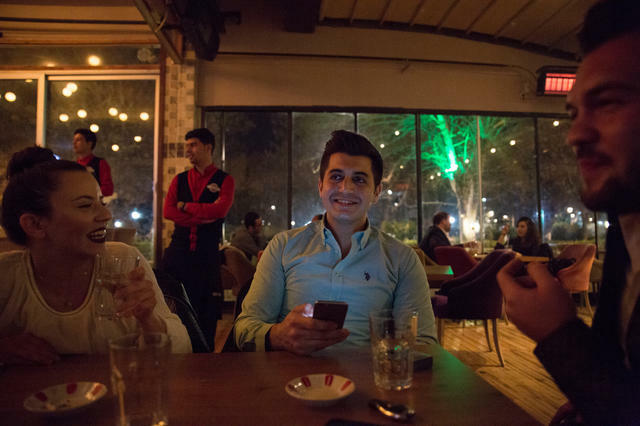 Hazem and his friends gather in a popular Turkish cafe on a weekend evening. A mix of university students and professionals, they discuss their feelings about integration in Turkey as young Syrians in exile. But opportunities remain. The $6.8 billion that Turkey is receiving as part of its migrant deal with the EU is expected to go toward housing, education, and labor market access for Syrians. 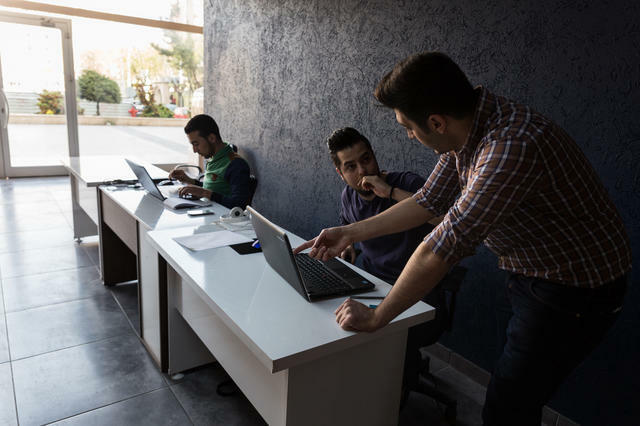 Ankara hopes to direct some of the funds into its health and education budget, for services rendered, but some of those funds might go toward tech tools. Turkey might back Gherbtna, or a translation tool, or even take after Germany, which recently launched a Gherbtna-like app of its own, Ankommen (“Arrive,” in German) to help its one million migrants integrate. Thus far, technologies that aim to help newly arrived migrants build new lives in Turkey have largely fallen short. They may just need a bit of time, and broader backing from the public and private sectors. 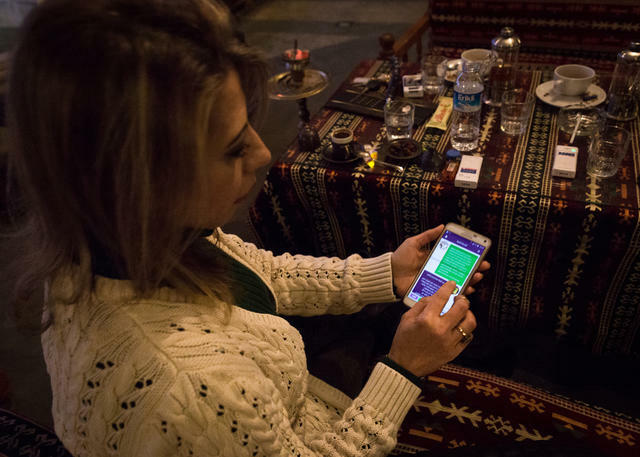 Kayali, the Syrian web developer living in Istanbul, says that the ideal app for Syrians and other Arabic speakers would provide comprehensive and regularly updated legal information as well as details on local pharmacies, hospitals, schools, and more. Akil opens his mobile phone to the Tarjemly app, showing the page where the user can choose a target language and select a translator. David Lepeska is an Istanbul-based journalist who has written for the New York Times, the Atlantic, Foreign Affairs, Financial Times, the Economist, the Guardian, and other outlets. His work focuses on Turkey, the Middle East, urban issues, media, and technology.